I ride the NYC transit system frequently. So of course I had many observations about the London Underground. 1) So clean on the platforms, trains and tracks. No rats! No homeless people. People have more respect here. There are no trash cans yet no one throws anything onto the tracks like in NYC. When will New Yorkers stop being uncivilized slobs? I can say this. I am a New Yorker, but unlike my neighbors I don’t litter. I have respect. 3) Everything is very well labeled. The stops for going east or west. Finding your “Way Out”. 4) On your “way out” the escalators are fast. You stand on the right (as stated) and keep moving on the left. If only they followed this unspoken rule in Grand Central Station. Even if they did put a sign up those lazy bums would still block my way on the left side of the escalator. 5) The seats are cushioned with fabric. That would never work in NYC, because they have no respect and would soil the seats. 6)The PSA posters and advertisements are clever. We need this posted on the NYC trains and buses. How cute is this advertisement? Even if evian tastes like farts. 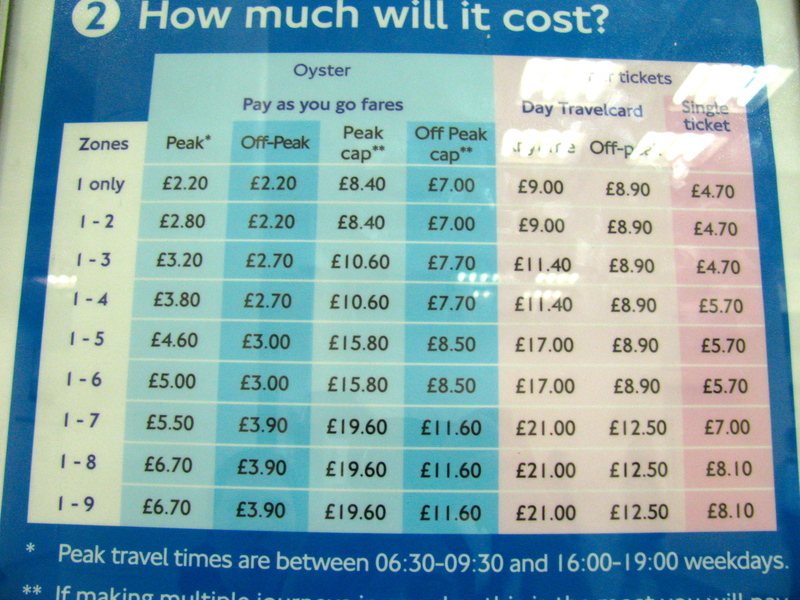 1) The fare pricing by zones and peak/off peak hours is expensive. 2) Pricing by zones means you have to tap out at the turn style when you exit the Underground. 3) You’re so deep underground your ears pop. 4) No air condition on the trains. It would often be too hot and stuffy. 5) The trains do not run 24 hours like in NYC. They close it for cleaning. So it goes with the #1 Pro. If you want an immaculate Underground then you have to deal with taking car service in the A.M. hours. 6) The machines do not accept 5 pence coins because they are smaller than the rest. What is the purpose of having the 5p be so small if no machines take them? Either make the coin machines accept the smaller 5p or make the 5p bigger. It’s a balanced list. You take the good and take the bad, with any public transit system.